Repair Acts is an international and multidisciplinary network of people working on topics relating to repair, care and maintenance cultures. Broadly these cultures focus on applied, artistic, scholarly and civic practices, which deal with the care, upkeep, maintenance and reuse of objects, materials, buildings, systems and processes. We view repair, care and maintenance as the challenge to move away from the rhetorics of the ‘new’ as a means of progression and innovation. Questioning the lexicon of the ‘smart’ and globally connected, repair, care and maintenance cultures addresses everyday consumption by revealing the geopolitical struggles, labour systems and consequences of our material lives on the environment and other species. Instead we look towards how we attend, nourish and care for the everyday, with a focus on the disconnect and the discarded, what is in ruin and broken as a means through which to reimagine what we define as growth. Rooted within the arts, humanities and social sciences, we are concerned with deepening the intersections between artistic, applied and scholarly knowledge on repair, care and maintenance cultures. Drawing on Laderman Ukeles, “Manifesto for Maintenance Art 1969!, Jackson’s broken world thinking (2014) and Haraway‘s (2016) call to stay with the trouble, we also position our work within legislative measures that address planned obsolescence and policies such as the United Nations Global Sustainable Development Goals (2016) and various EU Directives (2008, 2012), which call for more circular and restorative approaches to manufacturing and production. Established in 2018, to date the Repair Acts programme has included a number of public conversations, workshops and exhibitions. In partnership with the British Library, we made our first steps towards establishing the Repair Web Archive, which will be developed further in the coming year. In 2018 the programme has been presented at a number of national and international conferences, including Make City Festival, Berlin and re:publica, Accra. We also begun to carry our research on the histories of repair businesses in Bristol between 1938-2018. As a result of this work, we have started to develop cross curriculum activities. 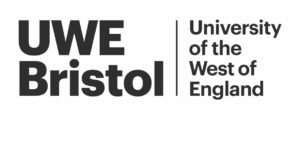 We will open 2019 with a symposium, exhibition and series of workshops, which will take place on 6-8th Feb 2019 in Bristol, UK. The Repair Acts network includes artists, scholars, designers, engineers, social, economic and political scientists, policy makers, educators, environmental organisations, enterprises, governmental bodies and concerned creatures who work on the topics of repair, care and maintenance cultures. Selected publications and projects from network participants include: Working the break point: Maintenance, repair and failure in art, Dillon (2017); Curated Decay, Hertiage beyond Saving, DeSilvey, (2017); Visible Mending in the South West, Bond, DeSilvey and Ryan (2013). R3PAIR Volume edited by Lara Houston, Daniela K. Rosner, Steven J. Jackson and Continent; Of Poverty and Plastic: Scavenging and Scrap Trading Entrepreneurs in India’s Urban Informal Economy, Gill (2010a); Recyclism, Gaulon; Bench Repair and The Tool Appreciation Society, Linda Brothwell and Landscape as Evidence: Artist as Witness (2017) and Three Traces of Nature and Self, (2017) Agarwal. Repair Acts is funded by the Arts and Humanities Research Council (AHRC), UK under the Network grant scheme. The programme is led by artist and Professor of City Futures Teresa Dillon (Principle Investigator) from the School of Art and Design and DCRC at the University of the West of England, and Associate Professor of Cultural Geography Caitlin DeSilvey (Co-Investigator) from the Environment and Sustainability Institute at the University of Exeter. Our partners in the project include the environmental organisations Toxics Link, Delhi and Resource Futures, Bristol. Supporting the delivery of the programme is DCRC, University of the West of England and Environment and Sustainability Institute, University of Exeter. 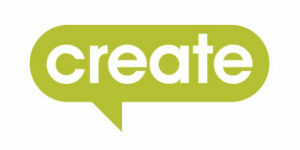 For the 2019 symposium our venue partners are CREATE, Centre for Sustainability Bristol. The ‘My Square Mile’ pilot, which focuses on repair business practices in Bristol (1938-2018) is led by Teresa Dillon with support from Carmela Pietrangelo (research assistant) and Arthur Buxton (print). The British Library workshops were led by Helena Byrne, Curator of Web Archives and Stella Wisdom, Digital Curator, Contemporary British Collections. ‘My Square Mile’ and British Library workshops have been supported by the University of the West of England Collaboration Fund. Dr. Alma Clavin and Dr. Christoph Woiwode, Bath Spa University supported the development of the programme’s first cross curriculum activities.